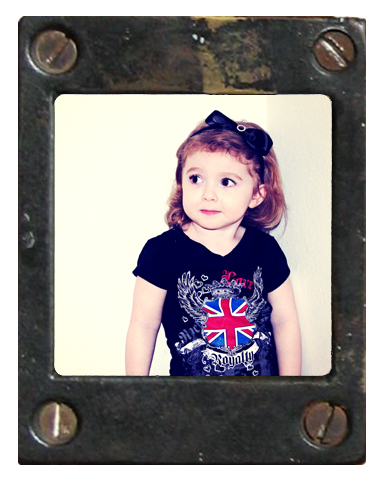 We seem to be getting a lot of attitude from our go-to gal that models our cute creations. Logically, it would be easier to adopt a new supermodel when the contracted one gets all uppity, pouty, and demanding of a pay increase from one pudding cup a day to THREE. After much consideration we decided to withhold the raise and go with the inevitable attitude and make it work for us! 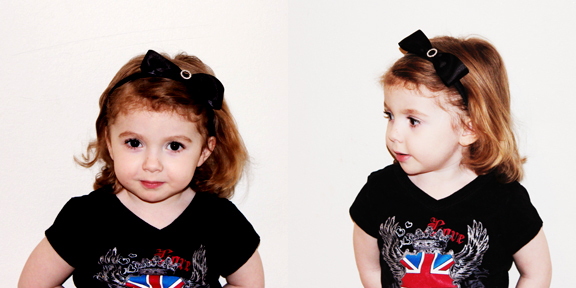 We're creating a blingy headband that would be fitting of a Queen, or at the very least a pint sized Diva! 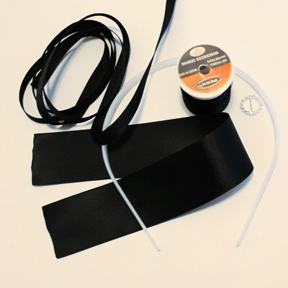 After preparing your ribbon wrapped headband, cut 15 inches of the black satin ribbon and use your lighter to heat seal both ends by running the flame along the edge until it becomes a little shiny. Loop your ribbon forming a circle with a 1-2 inch overlap, then pinch flat bringing both the top and bottom of the circle of ribbon to touch. Find the center of the length of ribbon. Thread your needle through both layers of the ribbon. We fold ours in a "W" shape in the middle then stab the needle through while hopefully avoiding an ER trip. 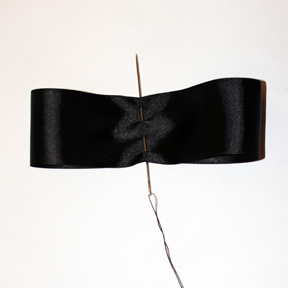 Wrap your thread around the bow several times, sew back through then tie to other thread end. 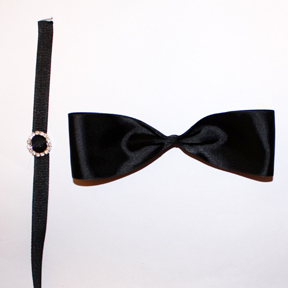 Place your 3/8 ribbon through the rhinestone circle, then tie around the center of the bow, knotting it in back, then secure ends on the back of the bow with hot glue. Attach with hot glue to your ribbon wrapped headband and you’re finished! Now our English Rose is ready for lunch with the Queen, a royal wedding (I am leaving the date open just in case! ), or at minimum a well dressed foot stamping hands on hips temper tantrum. Not that she would do such a thing.